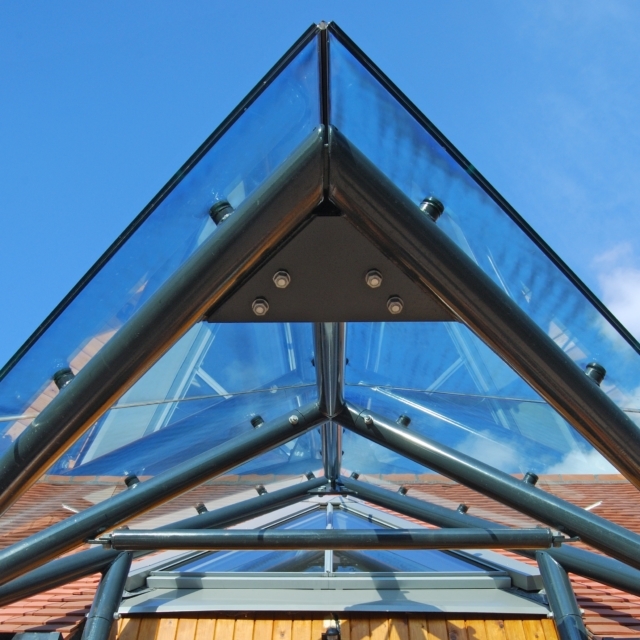 A new church hall for a 20th century church building in a sensitive suburban setting. The hall is designed as an up-turned boat with a zinc roof and high level rooflights, all supported on a curved glulam structure. The front section of the new building is of a smaller more intimate scale with low eaves and a traditional steeply pitched roof of clay tiles, to match the adjacent Church. 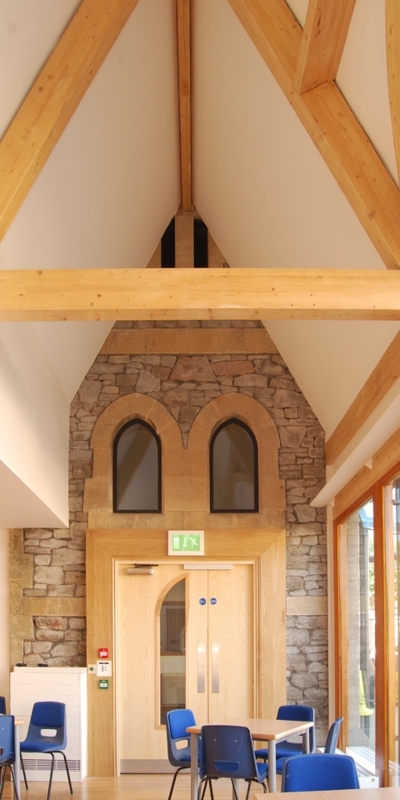 Timber is used extensively throughout the building, internally and externally. We assisted the Minister in consulting Church and community members locally throughout the briefing and design process. 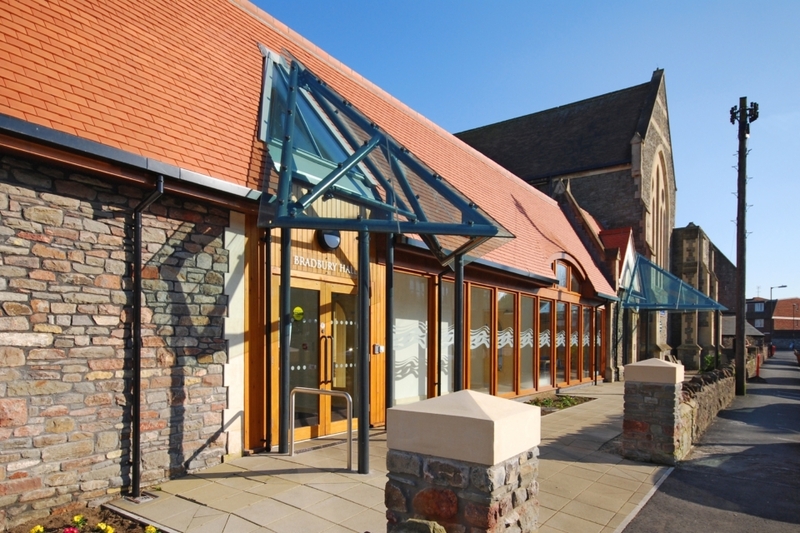 The result is a building design which provides meeting rooms and an informal cafe space that can be used on their own, or with the church, in a number of flexible configurations.